Sales are finally over and the new spring 2018 collections are now flooding new-in sections. We get it—all these shiny new things can be a little overwhelming. To give you some intel on the items that are really worth paying attention to, we turned to those who know how we shop better than we do: fashion buyers. The experts from Net-a-Porter, MatchesFashion.com and more have told us the shoes, bags and key pieces they're throwing everything behind this season. Scroll to see—and shop—the cult items you'll see in every street style gallery this month. 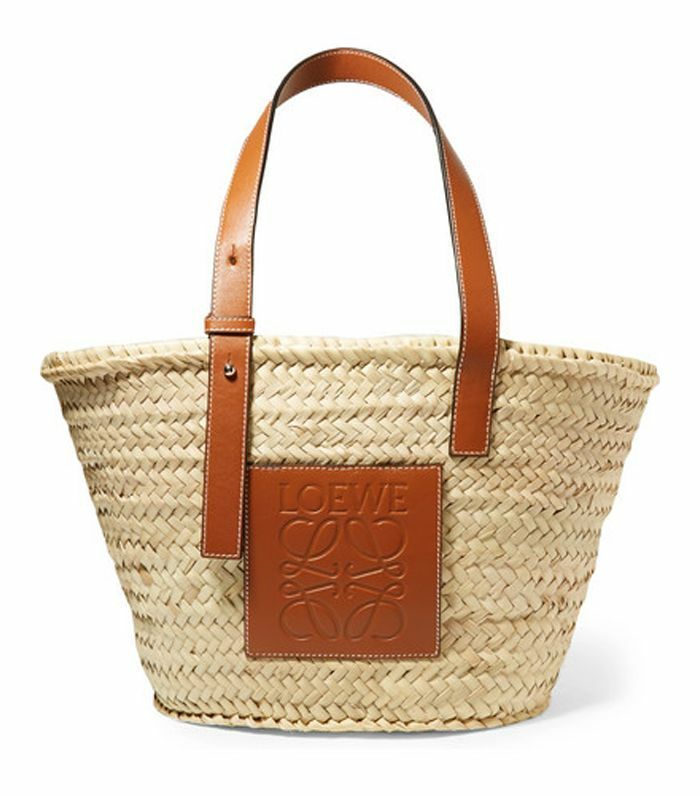 "The basket bag was a huge hit for S/S 17, as it made its way into city dressing," says Net-a-Porter Fashion Director Lisa Aiken. "We sold a huge number of basket bags last season across a range of different brands. This season, Loewe has adopted the chic style in small, medium and large versions starting from £250. Net-a-Porter has backed it heavily, but I recommend you add your name to the waiting list to avoid disappointment." "[Look for] shell-inspired accessories that bring vacation dressing to your everyday wardrobe, such as slippers from Sanayi 313, jewellery from Rebecca de Ravenel and the collaboration from Australian designers Albus Lumen and Ryan Storer," says MatchesFashion.com Buying Director Natalie Kingham. "There was an abundance of boots for S/S 18—so much so that it was the single-biggest trend in runway footwear, and we've increased our boot options by more than a third since last summer," says Lisa Aiken. "The hero boot, for me, is Chloé's Rylee; we expect everyone to be coveting this style. We've bought it in five options in both ankle and knee-high iterations so you can buy more than one." "We have recently been working with stylist and fashion consultant Ada Kokosar on the exclusive launch of her shoe range Midnight by Paciotti," adds Kingham. "She has an amazing sense of style and self, and I think the collection will be really popular—it also continues the embellished-heel trend that resonated well with our customers for A/W 17." Hollie Harding, accessories buyer at Browns, says she thinks Tara Zadeh's circular clutch bags in bright colours are this year's It bag. "One of most surprising trends we saw in the S/S 18 shows were summer boots—Margiela and Chloé had some great Western-style boots that were paired with beautiful summer dresses, and we're also launching an exclusive cowboy style with Toga," says Kingham. There you have it—time to start shopping these trends and prepping your wardrobe for the new season.